I am a full-time broker with more than 20 years experience who listens to my buyers and sellers. I work with my clients from the beginning to the end of the transaction to ensure there are no unknown surprises. I specialize in Luxury Properties, Military Markets, New Home Construction, Retirement and Relocation, and First-time Home Buyers. President's Circle Award, Sterling Society, Diamond Society, Production Awards 1996-2016 for listings and sales of Residential Properties. We had a terrific experience working with Wendy to help us find a home in Taberna. We met her at an open house when we just started to look, and she offered to show us some other houses. She was extremely patient as we must have seen about 20 houses before we found the right one. We never felt any pressure to provide feedback on houses, and she never steered us to a house outside the parameters we were looking within. Her expertise in the area was very apparent and she was able to give us a lot of background information which helped us in our decisions. Once we decided on a house, she was a great resource throughout the loan and closing process. In addition to her professionalism, she's very personable and we really enjoyed working with her. Wendy was very quick to respond to our request while we were searching for a new home in New Bern. She kept us well informed on new listings and price reductions for properties we ere interested in. Wendy knows the market very well and was a great source for local service providers. We found our perfect home and Wendy helped us every step of the way! Wendy was amazing! She was the listing agent for our home in New Bern. She has extensive knowledge of the area and the market. She was always thorough and responsive. As we are long distance, we required additional assistance and Wendy was always helpful in finding just the right people for repairs and lawn maintenance. Even through hurricane Florence, Wendy helped arrange coverage for our property and ensure that our minds were at ease. Wendy is a perfect choice if you are looking for a full-service professional that will make your home selling experience as easy and stress-free as possible. I would like to tell you a story relating to one of the realtors that represent your firm. My husband and I live aboard a trawler and are currently in New Bern, NC. I'm sure you are aware of the impact Hurricane Florence had on this area a week ago. The area suffered great damage and flooding. My husband and I explored this area one week before the hurricane as a possible area to settle once we leave our cruising lifestyle. We were shown multiple properties by Wendy Jones. She graciously spent two days showing us various areas and properties. We were very impressed with her knowledge and friendliness. As we parted ways she told us if there was anything she could do for us to let her know. As luck would have it we did need to call for her assistance. When we realized the hurricane was a Cat 4 and projected to hit our area we made plans to stay at the nearby Doubletree. Those plans were thwarted when the hotel cancelled our room the day before the storm was to hit. We are now facing a Cat 4 hurricane with no place to go and no way to get out of harms way. We also had our 4 cats who the shelters would not accept as they were in softside kennels. I grew dozens of grey hair at this time. I then thought of the only person I knew in New Bern. Wendy Jones. I called her and relayed our dilemma. She said she would get back to me. Within ten minutes she was able to text me and tell me she had a vacant house in a flood free zone that had power and water.She had contacted the owner and explained our situation. The owner gave her permission to let us stay in the safety of their home to ride out the storm! Wendy then picked us up and delivered us to the home along with pillows and comforters to make a pallet with. I believe she saved our lives. We returned to the marina to find our boat had been spared also. I expressed our gratitude to Wendy and she was humble and simply stated she was glad to help. Should we decide to settle in the New Bern area she will be the first realtor we contact. I wanted you to know what a great service she did for us and thought she should be commended for her kindness. Wendy was fantastic in helping us sell our home. Wendy was honest and always told us what we needed to hear. She took extra care in to taking care of us as her client more than could be expected. Our home was in the path of Hurricane Florence and we had our closing scheduled for the day before the hurricane was expected to arrive. Our closing was postponed with the storm imminent. We lived out of state and were not in the home during the hurricane. As we watched on TV and social media and saw the images of severe wind damage and dramatic scenes of flooding in the area - we were extremely concerned that we would have extensive damage and not be able to sell our home. Seeing as we were living out of state we had no way to know what condition our home was in. Wendy took it upon herself to risk driving into flooded areas to make sure that our home was okay. Luckily, we were spared and were able to reschedule our closing. We were extremely grateful to have Wendy take a genuine interest in us and push to get the house sold under the most of extreme conditions. I would highly recommend her to anyone looking to sell their home. Wendy was the selling agent when we purchased our home and we knew from working with her that she was the person we wanted to list our house when we sold it two years later! She was a pleasure to work with and made the whole process a breeze! Our closing was complete within 60 days of listing. We highly recommend Wendy and would work with her again in a second! Wendy is an awesome realtor! She is very knowledgeable and professional. She is a positive and caring person. She goes above and beyond to help you sell your house. She sold the house in 45 days from listing to closing. Wendy Jones was a blessing to our family. My husband and I were exhausted trying to find our first home. We went through 2 realtors and almost 2 years of almost getting a home and having other realtors drop the ball. So I went digging to find the most reliable and trustworthy realtor. Not to mention someone with New Bern NC experience. Wendy was amazing from the beginning. She listened to what we wanted in a home and respected our budget. To say we had a small budget was an understatement, but she treated us like we were spending millions. When we met her, she was so bright and happy. She truly enjoys her job and it shows. She showed us many homes and was honest about each one of them. She didn't push us to buy a home and she fought for us when it came to putting in an offer & getting in a bidding war. Then when we did get a home during the due diligence period she was awesome at explaining everything (since we were first time home buyers) and kept us posted on everything we needed to get done with our bank, inspections, etc. If you are looking to buy or sell you can TRUST Wendy Jones, she is super sweet & as a buyer she is also tough & wicked smart! Don't hesitate one bit to get in touch with Wendy. Wendy started working with us in February. We really got serious in August, and she quickly understood the type of house and location we were interested in around New Bern. She was fun to be with, and took us to visit houses several times - we even went back to two houses twice. Wendy provided contacts for us to obtain services to perfect our new home (painting, landscaping, floor sanding, handyman services). We would strongly recommend Wendy. She is professional, knowledgeable, courteous and very responsive. Wendy was extremely helpful in selling my home. She was very flexible and accommodating to work around my difficult schedule. All requests that I had had were handled quickly without issue. I would recommend her for anyone buying or selling in the area. She is professional and knowledgable in all matters. Her responsiveness is top notch. She was always willing to go the extra mile. She was still there for us even after our out-0f-state move when we had no where else to turn. From the moment I contacted Wendy to help me sell my home I felt completely represented. She was superb at marketing my property, honest with her opinions as to the reality of a good sale, immediately responsive with all email information and was diligent and persistent in getting my home sold. The myriad problems that can arise when selling were handled with ease and seamlessly solved. I would highly recommend Wendy without reservation as an outstanding agent. Wendy Jones is persistent and thorough. She immediately followed up with realtors who showed our house so that we instantly knew their clients' reactions to our home. During the Due Diligence process she made sure all necessary items were handled and at closing all documents were ready for signing. Also in the midst of a difficult negotiation involving the price of the residence Wendy remained calm and caring. She competently led the way through this give and take situation. There was no aspect of her role as our realtor that she could not handle--she went beyond our expectations. NEVER ....It was an horable experience instead of looking out for my best interests she looked out for herself and the bottom line Money. She knew I was not capable mentally to make a good decision. She was pushes and at some point went and decided to help buyers. Remember sellers she will do whatever it takes to close on a house even if it's not the right thing for the seller. At one point tried to end contract after I was so upset and had changed my mind due to my doctor advice. Then refused to help me find another house . Wendy was a joy and great to work with! We moved from another city and were completely new to the New Bern area and she was able to answer every question we had. Her knowledge of the area and neighborhoods was quite impressive. Also she knew other professionals in the community to help with banking/mortgage, painting, community events, yard work, doctors, etc. Both my husband and I can be very demanding and do not have one thing to say negatively about the experience. You want to buy or sell your home - go with Wendy! Being British, we knew nothing about the real estate process in the USA but we were reassured the moment we met Wendy. Wendy handled our sale in a most professional manner particularly when we were out of the country. Despite the distance and time difference we were always kept well informed. Her actions in ensuring that our home was always well presented went far beyond our expectations. She was a delight to work with and we would happily recommend her. Wendy was a pleasure to work with, very quick to answer any questions or concerns. The whole buying process went very smooth and even after the sell, Wendy helped with issues beyond her responsibility. Wendy was wonderful to work with, and the whole selling process went very smoothly. If I ever needed a realtor in the future I would not hesitate to call her. We just sold our home in June, 2015 to move out of state. We chose Wendy Jones after reading her qualifications and reviews. She was very personable but always professional. She made valuable suggestions before we put the house on the market which helped us sell the house in less than a month. She kept us informed and up to date. She used all resources available to advertise our property. She was prompt to respond to all our question and concerns. We recommend her highly and would use her again if the opportunity arises. Wendy Jones was a wonderful Realtor to work with! She made a very stressful situation, much easier. She explained the process of selling our home and understood that we needed to sell quickly. We were happy with the price she presented us with, and our house sold within the first week of listing! Throughout the entire process, we were kept in the loop and always knew with plenty of notice when the house was to be shown. Feedback was immediate! When it was time to make repairs, she recommended wonderful contractors that were very easy to deal with. They all responded quickly and did wonderful work at a fair price. Any questions or concerns we had were answered immediately. Wendy always made sure to communicate. She was just a phone call away and if we had to leave her a message, she responded promptly. She was wonderful to work with! We recently sold our house using Wendy Jones and were very happy with the experience. Wendy was very thorough when we did the walk-through for the listing and the pictures she had done looked wonderful. She alerted us when the house was being shown and provided feedback as soon as she got it. Working with Wendy was a great experience and my wife and I would highly recommend using her for your real estate needs. Wendy helped us sell our home when we moved back to Raleigh. We had a great experience with her and knew that she would get the job done. She was always very responsive and available to answer any questions that came up. Throughout the actual sale, we knew she was going to look out for our best interest. We thoroughly enjoyed working with Wendy and would recommend her to anyone in the New Bern area! We couldn't have asked for a better realtor than Wendy. We had a whole packet waiting for us from her when we checked into our hotel with local information and maps for the area. She took her time in showing us all the different areas around New Bern. She responds to phone messages, texts or emails in a very quick time. From someone who has been in the service industry before, I must say she knows the meaning of how to treat clients with A+ attention. We look forward to continuing our relationship with her. Wendy helped us to sell house and purchase a new home in a highly competitive market. It is a very stressful process selling and buying a house but Wendy made it very easy. She is very through in her work, very responsive and cares more about what you want rather than getting you to just buy. She is very patient and knows her real estate well. She is very professional and extremely personable. One awesome quality about her is that she had the answer to every question we had. We are so happy with our home and can't recommend her enough! Wendy was great - we even bought a house in the neighbourhood she had once lived in so she was very familiar with everything there was to offer. She knew we had taken significant losses on the last 3 houses we owned and indicated to the appraiser that we "needed a good appraisal" as some appraisers look at the offer before doing their appraisal and make sure it appraises at that value. I feel we got a house that will suit our needs and we also got it pretty quickly after starting our hunt. I highly recommend Wendy to anyone looking in the New Bern/Trent Woods area. My husband and I recently purchased a house in New Bern and we were very fortunate to have found Wendy. From the first time we met her, we knew she was the realtor for us. She always took a lot of time with us and never made us feel rushed. She is very knowledgable about the area and went out of her way to help us in anything that we asked of her. She was very prompt about returning our text, emails and phone calls. Since our closing, she continues to answer any questions that I may have. She is an honest, caring person and an awesome agent! My wife and I recently bought a home in New Bern through Wendy. She was super knowledgeable about the local area and could not have been more prompt and thorough in her follow up regarding all the details. She went way above and beyond answering all our questions before and after the sale. Wendy was the best agent I have ever personally worked with. Wendy Jones listed my home at the beginning of January! She went over and above the call of duty! She suggested I update my master bath by taking down old wallpaper and painting! I was struggling reaching high corners and around the ceiling. She came over one night and helped me take it down! She was always available to answer questions or when I needed her opinion! It sold within the first two months! It was shown at least 2 times a week! She called me after each showing and gave me immediate feedback! She always had a smile on and responded to all my questions immediately! She had a very comforting way with me throughout accepting the contract, home inspections, and the closing! I trusted everything she said and did! I felt like she was truly interested and dedicated to getting my home sold quickly for the most money I could walk away with! I would recommend her to anyone I know that is selling their home!?????? We contracted with Stuart Smith of Coldwell-Banker in New Bern, and he assigned Wendy to us. Wendy worked hard to get us multiple offers, and deal with all the complications of inspections, due diligence, and closing. Since the house was already vacant, she arranged the various repairs and upgrades needed. Her communication was excellent. Although we did not agree with every expenditure she recommended, we were quite satisfied with the end result. When we made the decision to move from New Bern to Florida we knew that moving was quite a chore. We also knew that the buying and selling process would be stressful, but we were excited and ready to go! After interviewing several Real Estate agents, we had an initial meeting with Wendy. She was very professional and personable, she took diligent notes, and immediately made us feel very comfortable. For our meeting, Wendy had prepared a customized portfolio for us with information about the current real estate market in our area and a number of listings from comparable properties. She really impressed us with her first-hand knowledge of the homes that were sold, for sale, and / or pending in our neighborhood. We thought that her plan for the sale of our home was very reasonable and that her communications skills were excellent… so, we hired her! Throughout the selling process, we found Wendy to be a very attentive agent. She answered emails and phone calls the same day. We asked a lot of questions (sometimes the same question twice!) and she always answered thoroughly and with a smile. While very honest about the realities of the real estate market in our area, Wendy was always supportive and enthusiastic about finding buyers for our home. After a few months on the market, we were fortunate to end up with two bids on our house. We accepted one of them and are now on our way to Florida. We are delighted to recommend Wendy Jones to anyone looking to buy or sell a home in this area. She is the best in New Bern! Wendy Jones assisted me in the sale of my home and the purchase of my new home. I found her to be available when it was convenient for me and I always felt she was working in my best interest. She was professional and efficient in representing me. Wendy Jones is an honest, hardworking realtor. 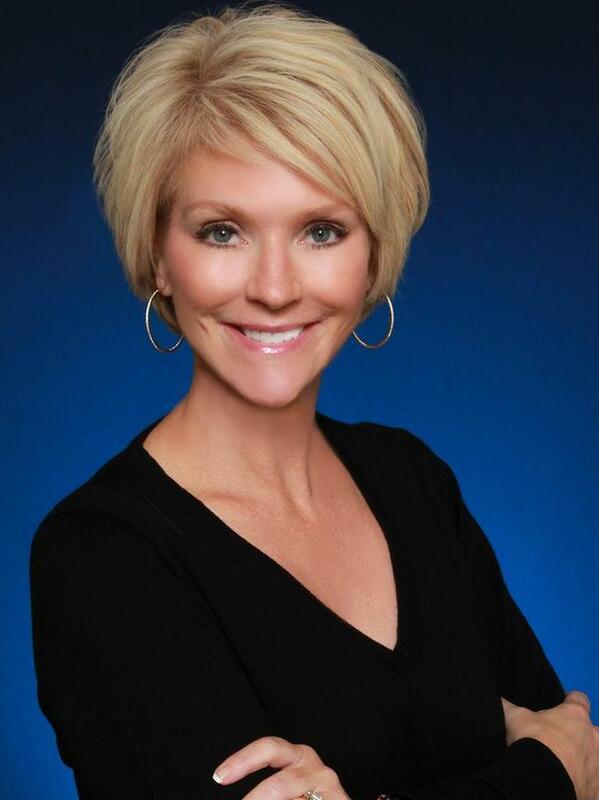 She is the realtor that I recommend to anyone asking me. You will be happy you selected her!. We have known Wendy for many years and turned to her when we decided to list our home. She was extremely helpful through a difficult process. Her eye for staging is great. Weekly updates were always given and her professionalism was top notch. I would highly recommend Wendy for all of your real estate needs. "Breath of Fresh Air", that is what it was like working with Wendy while purchasing our property. Having been in the Residential Building business most of my life, I have had many experiences with real estate agents, most of which I would prefer to forget, however dealing with Wendy was truly a refreshing experience, she followed through on all aspects of the process and always returned phone calls and emails promptly with answers and information. I can't thanks her enough for her hard work and great service. Wendy is the best. She helped find a river front lot that perfectly matched our requirements. We had been looking on our own for about 3 years but with very little time she showed us the "one". She was very professional and did a great deal of leg work (without asking) since we live out of state. She kept us up to date and covered every pro and con of each lot that she showed us. I would recommend Wendy to anyone. Professional, go getter and pleasure to work with. Wendy is an AWESOME realtor!! From the first phone conversation with her I knew she was very professional and really listened to what we wanted. She has a wealth of knowledge about the area and very prompt with returning calls and answering texts and emails. She always looked out for our best interest when it came to looking at properties especially for the future--as in resale and which areas were the best. When we found our home she went to bat for us with her negotiation skills to make sure we got the best price! I would definitely recommend Wendy Jones to help anyone with their real estate needs!!! We had a piece of property that the previous realtor hadn't done much to help us sell it. Wendy found out about it, contacted us and asked if she could show the property. We decided to engage her as our realtor. She relisted the property and within 3 months we sold it. She did a fantastic job. She was proactive, responsive and professional. My wife and I began our home search w/ another local agent but soon switched after a recommendation from a friend. The difference was obvious from our initial meeting together. Wendy was very professional and informative about every aspect of the home buying process. She was prepared with knowledge ranging from neighborhood demographics to why certain hardwood floors are easier to maintain than others. We always felt she put our interests first by providing listings matching our needs while scheduling showings at our convenience. Wendy made home buying exciting and we would highly recommend her to anyone! Wendy facilitated a move to the New Bern area. Her knowledge of the area and her expertise of the real estate market in eastern North Carolina allowed her to answer all of our questions as we purchased our home. When we move in the future, we hope Wendy will be there to help us once again! Wendy helped us buy a home in New Bern when we moved there 5 years ago. We recently decided to sell our townhouse and didnt think twice about using anyone else. Wendy was able to sell the first day it listed at full price. When the buyer backed out a week later Wendy already had a backup offer ( also full price) and we were able to close within 60 days of listing. We were already out of town when the closing took place and Wendy handled everything for us. Best realtor ever. We would highly recommend Wendy Jones as an agent. She was knowledgeable, professional and wonderful to work with. We were looking to buy a home, but ultimately decided not to move to the New Bern area that's why I had to use the "it didn't work out" category. Wendy was wonderful! We just wanted to let you know that from the first minute we crossed paths with Wendy Jones she has done everything in her power to make the buying process very smooth. Her knowledge and expertise and the way everything was handled was nothing less than professional. She is certainly one of the nicest individuals we have met and would have no problems referring her name to others. We worked with Wendy as buyer clients over an extended period of time. We found her to be an excellent listener and extremely prompt in responding to our inquiries. As a result of our interactions with her, we felt that we gained valuable insights into the New Bern area and real estate market. We always felt that she put our interests first. We highly recommend her to anyone. Wendy Jones has been a great help to us. She has the knowledge to help people. She answered all our questions. Came back with a response from a showing on your house quickly. I will call on Wendy again. A great person to deal with. I have been involved with other brokers in the past buying and selling ptoperty perssonally as well as dealing with brokers as an attorney for clients. I find Wendy to be one of the top brokers I have met as far as competence, honesty and a good work ethic. I am pleased that she represents me in regard to selling a vacation property I currently own. Once We switched to Wendy, we immediately started seeing activity with showing the house. In one month, it was sold. She is fantastic to work with and will call on her again if the need arises. I highly recommend Wendy to anyone buying or selling a home. she was awesome. tons of knowledge and experience. made the whole the process a real pleasure. I would highly recommend her. although I ultimately decided not to buy for economic reasons. wendy always showed great professionalism.